Dont forget the Torbay Vintage Bus Running Day. 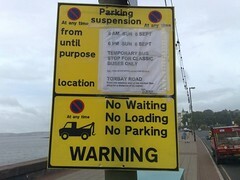 The signs are up along the Seafront clearing the way for you to enjoy a great day out. The weather looks like it should be ok too. 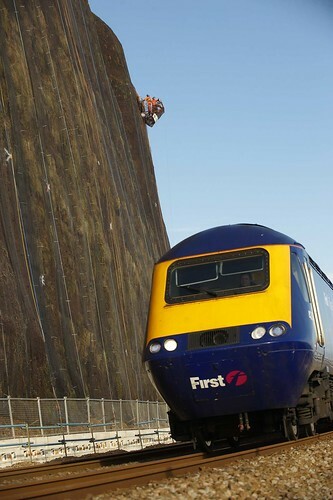 The proposal, which is part of the Great Western Route Utilisation Strategy, outlines a plan to bring extra trains and more frequent services to build on the benefits from the capacity-boosting Intercity Express Programme (IEP). IEP will cater to the growing rail demand in the area, bringing extra seats to passengers. However, to sustain this growth and continue to generate rail market share, there needs to be better connectivity into Exeter and Plymouth and consistent service pattern during summer peak period. Published by Network Rail, the ten-year strategy is evidence-based and considers forecast rail demands and local economic and population growth. Based on forecast analysis, the Great Western is set to grow by 31% with nearly 100m passengers by 2019, with Bristol to experience the biggest jump in number. Rail travel into Plymouth and Exeter has boomed in the last decade with rail journeys increased by 50% and 30% respectively at the two key interchanges. Today, both cities are receiving approximately 2m passengers. In addition, Plymouth and Exeter are forecasted in the draft Regional Spatial Strategy to be among the biggest growth cities/towns – following behind Bristol and Swindon - in the South West by 2026. 1. Improve service pattern between Paignton to Exmouth to half-hourly and Barnstaple to St. James Park to hourly. 2. Continue analysis of capacity constraints on the local and long-distance services into and out of Paignton. 3. Review service provision for Newquay to explore requirement to improve capacity, with reference to Government’s plan to develop an eco-town near St.Austell. 4. Further review to explore feasibility of a standard timetable pattern throughout the day between Bristol – Exeter, Plymouth and Penzance. 5. Reduce journey time on services between Bristol Temple Meads -Exeter by raising the linespeed between Bristol Temple Meads to Bridgwater to 125mph. 1. Intercity Express Programme to provide a new generation of trains to replace long-distance high speed trains on the Great Western, boosting capacity. Expected to be delivered from 2016 onwards. 2. Modernise signalling on the Great Western with the new in-cab European Railway Traffic Management System (ERTMS) to enhance operation and support capacity improvements. This will bring opportunities to improve infrastructure capability especially between Newton Abbott and Plymouth which, together with IEP, could significantly increase capacity and reduce journey times on key interurban routes. Expected to be from 2016 onwards. 3. Reading re-modelling scheme to cut delays on long-distance high speed trains travelling between London and Devon and Cornwall. Work starting in 2010. 4. An additional passing loop at Axminster to facilitate an hourly service between Exeter St Davids and London Waterloo. Due to be completed by December 2009. 6. National Station Improvement Programme to provide better service environment at select key stations, including Exeter St. Davids, Truro, St. Austell and Penzance. Consultation of the draft Great Western Route Utilisation Strategy ends on 27 November 2009 with the final document published in early 2010. This will be put forward to inform the Department for Transport and to help shape its future high-level strategy for the industry’s next funding period from 2014 to 2019. 2. Approximately 7m passenger rail journeys start or end in Bristol, representing a 75% increase from 4m in 1998. Trips to Bristol by rail are mostly for commuting purposes, and it is becoming more attractive as a result of improved rail service and increased road congestion into and around the city centre. 3. Approximately 2m rail travel at Exeter St.Davids, a 30% increase from 1998. 4. Plymouth experienced a higher level of growth with rail journey increasing by 50% since 1998 to around 2m in 2007.